Posted on August 29, 2018 | 1315 views | Topic : Events, Latest News, News & Articles. DreamWorks “KouKou Fun Time” celebrates food glorious food! Malaysia’s first ever DreamWorks KouKou festival, KouKou Fun Time is happening across five Sunway Malls. PETALING JAYA: To celebrate coming of this year’s Merdeka, Sunway Malls is holding Malaysia’s first ever DreamWorks KouKou festivities across five different Sunway malls within the country from 17 August to 25 December. Get ready to celebrate this National Day and Malaysia Day with your favourite DreamWorks movie characters such as Po, the noodle-slurping martial arts obsessed Kung Fu Panda; Shrek, the lovable curmudgeonly ogre; and Alex the Lion, the main protagonist of Madagascar – in their cutest form ever at Sunway Pyramid! The well-loved characters from the popular DreamWorks animated films (distributed by Universal Studios) will delight fans in the irresistibly adorable bite-sized form known as DreamWorks KouKou (Kou, pronounced “ko”, means “mouth” in Chinese and is written as “口”). 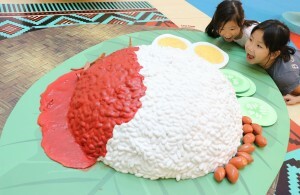 “KouKou Fun Time” will offer shoppers a delectable time revolving around adorable and ‘delicious’ larger-than-life foodscapes, concerted with Malaysia’s iconic delicacy fare such as the gigantic life-size Nasi Lemak to a refreshing bowl of Ais Kacang sculptures which are bound to grab the attention of adults and children alike. Present at the launch was chief executive officer of Sunway Malls & Theme Parks HC Chan, Sunway Velocity Mall senior general manager KS Wong, general manager of Sunway Putra Mall Phang Sau Lian, Sunway Carnival Mall general manager Chow Heng Wah; Sunway Citrine Hub Assistant General Manager Allan Tay, together with Pacific Licensing Studio Pte Ltd associate director Keith Ng, came together to launch KouKou Fun Time held at Sunway Pyramid’s Blue Concourse. Media members and shoppers were also treated to appearances by Po, Mei Mei, Shrek and Alex. Starting with Sunway Pyramid from 17 August to 17 September 2018, shoppers can get to experience a wide variety of Kou-licious activities such as having a go at the Dreamworks KouKou Bowling Challenge by entering a bubble ball and physically roll and knock down as many ketchup bottles as possible. Take on the Dreamworks KouKou Dumpling Challenge by manoeuvring the “dumpling” down the chopsticks to skilfully land them into particular DreamWorks KouKou’s goals at the bottom of the bowl. Stop by DreamWorks KouKou DIY Station and signup your child to create their very own bite-size culinary masterpiece without the usage of sharp knives or hot fires. Snap a photo with the DreamWorks KouKou characters at our exclusive DreamWorks KouKou interactive photo booth and get to bring home the adorable Kou-tifed instaprints. Shoppers can add the DreamWorks KouKou Shopping Bag to their DreamWorks collection when they spend RM500 (RM400 for HSBC credit cardholders) in maximum 3 receipts at Sunway Pyramid. As part of the showcase, shoppers at Sunway Malls are transported to a world of larger-than-life foodscapes where they can interact with fun-loving DreamWorks KouKou characters. From the DreamWorks KouKou activities, each adventure is specially curated to create memorable and engaging experience with the animated characters. “At Sunway Malls, we aim to provide quality and unique experiences in our malls that create special and unforgettable moments for our shoppers. Universal Pictures is behind some of the best-selling animated features of all time, helping families to dream and laugh together over the years with characters that are distinctive, relatable and humorous. We are thus delighted to partner with Universal Pictures and the DreamWorks characters in bite-sized DreamWorks KouKou form. 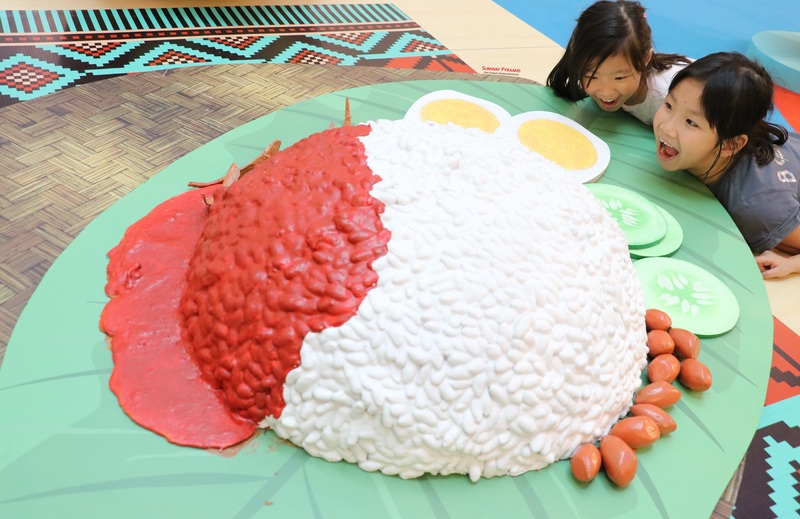 “This unique large-scale interactive showcase kicking off at Sunway Pyramid will offer shoppers a delectable time with all things adorable and “KouKou Fun Time”, said HC Chan. 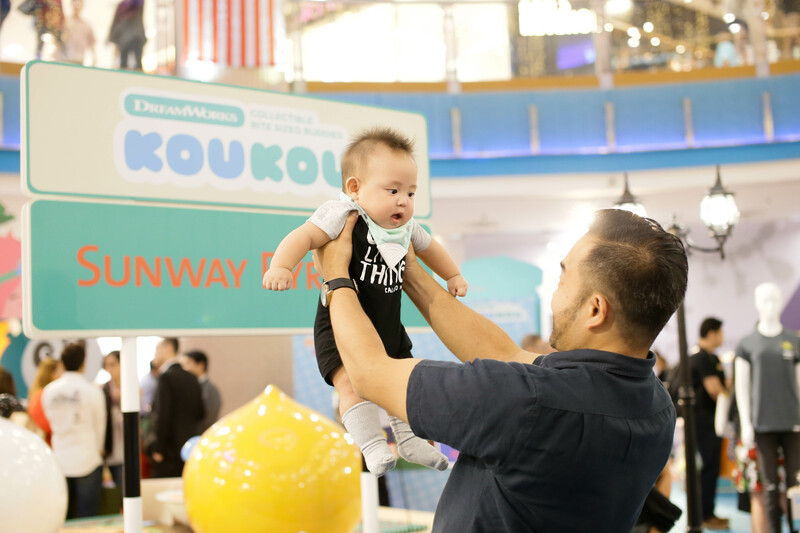 Sunway Malls will continue the “KouKou Fun Time” festive hype across other exciting Sunway locations throughout the country. 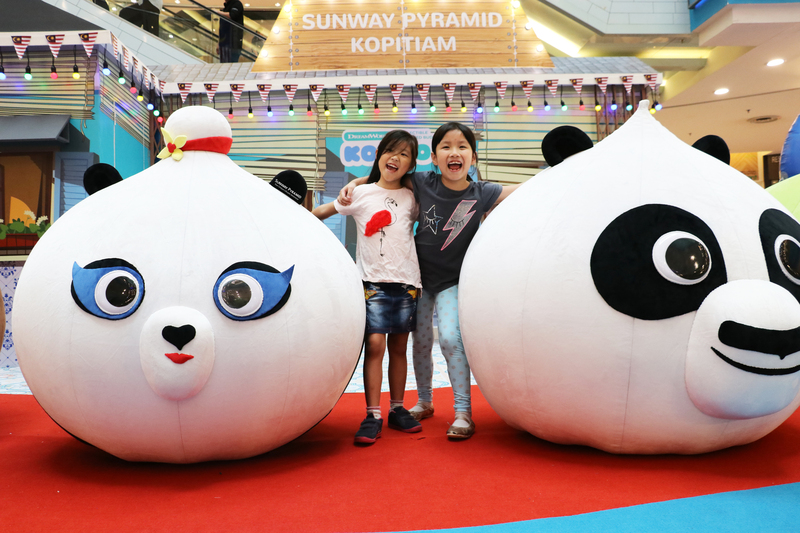 With five malls under its belt and still growing, Sunway Malls gears to be amongst Malaysia’s largest mall owner-operator to play host to the “KouKou Fun Time” festival. The collection of DreamWorks KouKou retail merchandise will be available from the various participating malls.